CarGurus has 852 nationwide NX Hybrid listings starting at $22,988. Lexus is going by the numbers with this one, but I’m not sure the full equation is on the page. With its already-small RX SUVs topping the luxury charts—yes, out-selling even the legendary 3 Series—it seems a shaky move to try and undercut sales with something so similar to its most popular offering. But Lexus is counting on some tricky math to make the grade: class-leading fuel economy, 50% first-time buyers, and a demographic skewing about a decade younger than its current consumers. Seems to add up at this point. But you can’t choose which numbers to pay attention to. They must be taken as a whole. For instance, when building a hybrid luxury compact crossover, it’s easy to look at something like class-leading fuel economy and think it’s the only thing that matters. It’s not. And it’s especially not when the demographic is significantly younger than your current audience. Efficiency is easy to achieve at the expense of performance, and that’s exactly the case with the NX 300h. While the gasoline-powered NX 200t offers robust if not shocking performance from its 2.0-liter turbocharged engine, the 300h is basically boring. Getting to 60 mph takes less than 7 seconds in the conventionally powered 200t, while the 300h takes more than 9 seconds to make the same trip. In today’s market, that’s embarrassingly slow. Of course, this makes sense when looking at all the numbers. That turbo 2.0-liter is good for 235 hp and 258 lb-ft of torque, while the 2.5-liter engine paired with 2 electric motors in front-wheel-drive (FWD) versions and 3 in the all-wheel-drive (AWD) configuration of the 300h is good for only 194 hp. Even more confusing from this technological titan of the auto industry, the battery packs here are NiMH rather than the superior Li-ion. But the good news definitely comes from the EPA. Choose FWD and you’ll get an estimated 35 mpg city/31 highway, while choosing AWD—which Lexus estimates about half of buyers will do—drops those numbers to 33/30, still the best in the segment. Cargo capacity balances out this equation by being the worst. With the 60/40 folding seats up, you’re looking at less than 17 cubic feet of cargo space—about 7 less than the average competitor. Lose the rear passengers and things look a little better at around 54 cubic feet, but an awkwardly angled loading deck has already drawn criticism. And if you’re thinking you want to haul around only people back there anyway, they’d better be short people. Legroom may be abundant, but that can’t make up for a distinct lack of noggin space. On the outside, the 300h displays the same controversial grille that has drawn criticism from even Lexus itself. It doesn’t seem to have affected sales in the past, however. Early reviews have seen it likened to everything from a rat to a catfish, and while it’s a unique design when viewed from the front, from the side it has a distinct overbite that is anything but pleasing. The F Sport package adds a more attractive front end, some exterior and interior trim, a sport suspension, 18-inch alloys, paddle shifters and a ridiculous acoustic engine enhancement that pipes artificial noise into the cabin. Thankfully, you can turn it off, but some extra sport by way of horsepower would’ve been nice. Being a Lexus, you won’t find yourself wanting for features, either tech or comfort. Standard Nu-Luxe simulated leather will satisfy all but the most bloodthirsty, and with contrast stitching, optional wood trim and padded surfaces nearly everywhere, you’ll find yourself hunting for a piece of hard plastic to complain about. Front seats get 8-way power, and with a leather-wrapped tilt-and-telescoping steering wheel, the comfort complaints should come only from the back seat. LED head- and fog lights join running lights for full illumination, and dual-zone climate controls are automatic. You’ll get keyless ignition and entry, HD and satellite radio, a rear-view camera and a very classy analog clock situated dead center in the console. Opt for the Navigation Package and the cursor on the 7-inch screen is controlled by a haptic-feedback trackpad that, while plenty intuitive thanks to years of laptop use, simply requires far too much attention away from the road. The clunky interface could certainly be improved, but I can’t imagine a situation in which this system would be safe for road use. If you own an iPhone, you can use the Siri-based voice command, but if Lexus is truly going for the demographic it claims, some time should’ve been spent glancing at smartphone market share. Android commands a large part of that market, and Google Maps looks a lot better, too. A Comfort Package adds a power steering wheel and a driver's memory system, while a Premium Package adds a sunroof, heated and ventilated seats, auto-dimming side mirrors and 18-inch wheels to the Comfort Package. A Luxury Package keeps piling on the goodies with auto wipers, real leather, a power liftgate, heated steering wheel and tow package. But the attractive entry-level price that’s supposed to entice this younger audience is long gone by this point. 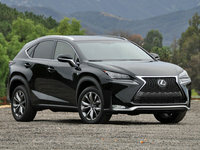 While Lexus may have found a way to carve out a larger section of luxury compact crossovers with the NX 200t, I have to think the NX 300h will miss the mark. It’s expected to account for 10% of total NX sales, but I have to think that even the 300 units a month that adds up to is too much. And this is ignoring the recent jumps in battery technology that will soon make this generation of hybrid an embarrassing half-step in tech. With not enough room for serious hauling, not enough room for adults in the back seat and barely enough go to get you anywhere, I can’t imagine a combined fuel-economy rating just north of 30 mpg being enough. Time to break out the calculators, Lexus. 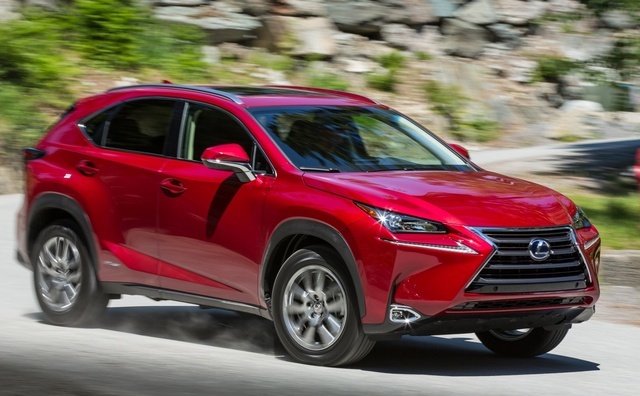 What's your take on the 2015 Lexus NX Hybrid? Have you driven a 2015 Lexus NX Hybrid?